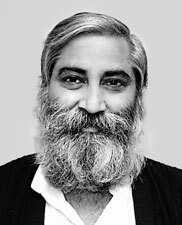 Sandeep Pandey (born 22 July 1965 in Ballia) is an Indian social activist. He co-founded Asha for Education with Dr. Deepak Gupta (presently Professor at IIT Kanpur) and V.J.P Srivastava while working on his Ph.D in Mechanical Engineering at the University of California, Berkeley. He is currently a professor at the Indian Institute of Technology (BHU) Varanasi.